On top of homework and lessons at school, the last thing your school-aged children want to do is embark on an educational activity at home. However, with some creativity and field trips that disguise the learning, you can provide an educational opportunity for your child without any hesitance, whining or griping. From travel lessons to cooking excursions, keep your children entertained while educating them with activities that teach and encourage fun. Break out the chalk and a tape measure to help your children learn geometry, geography and a bit of physical education, suggests O’Hara. “Map out ‘around the world’ spots for playing basketball and have your child create a geometric shape for a shooting mark with a tape measure for making the shooting marks equal distances,” she says. Take the lesson one step further by creating a hopscotch board incorporating measurements, fractions and division. “You can also make bike or skateboard lines incorporating measurement, fractions, division as well as elements of time,” suggests O’Hara. After your child has documented the outing, compile a photobook, scrapbook or DVD chronicling the journey to share with family and friends. In the process, he or she may even learn about technology when editing videos and uploading photos online. 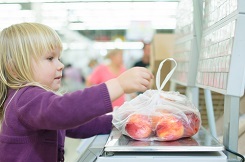 A weekly trip to the grocery store can be a learning lesson in disguise for your children. Beyond just a routine trip to pick up preparations for the weekly meals, your children can learn more about financial planning and have some fun with it at the same time. “If the activities are fun, they won’t even know they are academic lessons,” says Caroline Vroustouris, director at Varsity Tutors, an academic tutoring and test prep provider in St. Louis, Mo. While pushing the cart and marking off items on your grocery list, encourage your children to count items, weigh items and exchange cash and coins with the grocery clerk, says Vroustouris. Grocery shopping also provides an opportunity to discuss healthy food items, prompting your children to investigate calorie and fat content on purchased items. You can keep the lessons going once you get home with a family cooking lesson. Have little ones do measurements and conversions when mixing ingredients and prompt the older children to guess where the ingredients are grown. Use this opportunity to discuss food values and origins of your mealtime ingredients. There are a plethora of free games on the internet designed to help students review concepts in fun ways, says Jill Lauren, learning specialist and author of That’s Like Me! Succeeding with LD. Embark on an online gaming adventure with your children to find multiplication games online, grammar review games and reading or puzzle activities to keep them entertained and engaged in their education. Educate your children about world events while immersing them in a historical adventure. Load up the vehicle and take a family trip to a local museum or historical society. Most museums have programs and interactive tours that are designed especially for children. While browsing through museums, engage your children in discussions about artwork, fossils or artifacts.